Surprisingly, a large percentage of internet marketers dismiss Facebook as a source of traffic and leads. Instead they choose to focus on Google and other organic sources. I’m going to explain why you are leaving money on the table if you aren’t yet tapping into the traffic potential that Facebook offers. Facebook has well over 1 BILLION active users worldwide. That is a huge amount of people that log in regularly to this one site in order to network and connect with others. The great thing about Facebook is the fact you can connect with a specific target audience almost instantly. Facebook has a certain amount of “data” on each user that makes it easy for us to present our ads in front of them. A simple method of generating sales, leads or anything else from Facebook is to simply create an account and start adding like minded people who is a good fit for your target market. I covered this fairly recently in a previous blog post. A good way to do this is to join niche specific groups. If you sell digitial recipe books for example you can search for “active” groups and pages related to “Cooking” that are seeing plenty of engagement and simply join in the group discussions so that people see your name. Then start sending daily friend requests to the active members. These are YOUR target audience and potential buyers. As you are slowly building up your friends list start posting on your profile / wall. Post questions in order to build user engagement. People respond to questions and this leads me onto the next part which was previously known as “Edge Rank”. Edge Rank was the name of Facebooks algorithm that determines how often and on whoms “News Feed” your posts appear. The more people you can get engaging with your posts such as clicking “Like” or commenting… and ever better SHARING, the higher up peoples “Newsfeeds” your posts will appear gaining far more exposure. Lots of people are unaware that you can bypass this algorithm if you are willing to PAY a little bit of money. This is referred to as a “Promoted Post” and costs $7. What this does is it ensures that your post appears high up on ALL of your friends Newsfeeds, taking priority over other posts. It keeps your posts at the top for longer. This can create lots more exposure and if you are wanting to create awareness or SELL something then it is a low cost way of doing that. A number of hours after promoting a post Facebook will notify you and will share the results so you can see what percentage of post views were organic and how many were from the $7 promotion. What I want to talk about now is Facebook pages. Facebook pages are FREE and quick to setup and are great for attracting low cost traffic. You can create any number of Facebook pages and you can customize them quickly and post to them in the same way that you can your own Facebook account. A good strategy for Facebook pages is to build up a huge number of LIKES. These used to be referred to as FANS. When someone clicks LIKE on your page they are basically following your page and everytime you publish a new post on your page… it will appear on a percentage of your “followers / fans” newsfeeds. Instant exposure and traffic! It’s very easy to use Facebook advertsing to get cheap “likes” / followers. I generally pay no more than $0.01 per LIKE which is insanely cheap. Also, the more people that “like” your page the higher the chance of other users seeing this activity and also clicking “like”. It can have a snowball effect. When paying for advertising on Facebook it is ALWAYS cheaper to draw people into your “Page” than it is to an external website. Facebook obviously prefers to keep its users on its own site so they charge less money for that. You can of course add exernal links or affiliate links to your Page Posts which will then re-direct some of your paid visitors to wherever you want to send them. The truth is… Facebook Pages and Facebook advertising is awesome. Providing you are making a return on your investment that is. I’m very excited today as in the next few days there are TWO excellent Facebook products being released that WILL help you make money from Facebook. The first one is available now and is called “Social Mini Store”. It is a web service that allows you to quickly build money making Facebook Pages with drag and drop ease. Social Mini Store is a web based application which has been used to promote other products as an affiliate. It will create Beautiful landing pages on the fly and you can have the same landing page in your facebook tab as well as your wordpress blog or on your own domain. This can be used by people for promoting affiliate offers , CPA offers , As a landing page or even to sell your own product. Watch Social Mini Store In ACTION! Want To See My Special BONUS? Like Blaster plugin that will drastically increase the number of organic LIKES for your blog posts and pages! Full RESELL RIGHTS so that you can also sell this plugin and make serious profits over and over again! 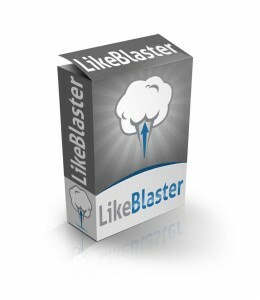 Complete sales page so you have everything to start selling the “Like Blaster” plugin! This is your opportunity to take advantage of Facebook and everything it has to offer. Right now it is wide open and with an ever growing user base it is the perfect place to gain an audience, followers, traffic and sales. In the meantime I wanted to tell you about a SUPER plugin / themes “offer” that long time marketer Dirk Wagner is running right now. Dirk was one of the first marketers I bought a product from and right now he is running a superb “Black Friday” offer on a bundle of new plugins and themes. I wanted to tell you about this because I think he has over delivered in terms of value. He has even included “Developer” licensing on ALL of them so you can even install them on clients websites. If you want to check out Dirks “Black Friday” bundle of plugins and themes CLICK HERE. It ends soon though so hurry! This is just what I was looking for!!! can i also sell a product directly from the page like , charge to watch a video, or insist a log in info for the video to begin playing? ?